Having a busy life can often mean having to find meals that you can take with you. 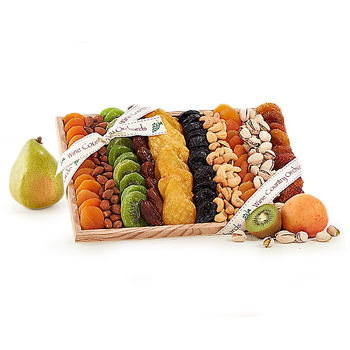 Help keep their energy up with a dried fruit gift box they won't be able to get enough of. Your recipient will receive a mix of dried fruits like rich Deglet Noor Dates, sweet Prunes, Bartlett Pear Halves, decadent Turkish Apricots, candied Kiwi Slices, and more. Say Happy Birthday, treat the office, or surprise a friend with Travel Snacks.